The American Geophysical Union Fall Meeting is always a good time, and this year is no exception. If you’re here in San Francisco, please join me for my talk, “Improving the Perfect Storm: Overcoming Barriers to Climate Literacy” (Friday 1:40pm in Moscone South 104) and be sure to check out Dreams of the Last Butterflies at AGU Cinema! And I promise that when my talk from TEDxBlackRockCity, The Math and Madness of El Niño, is available, I will post it here. 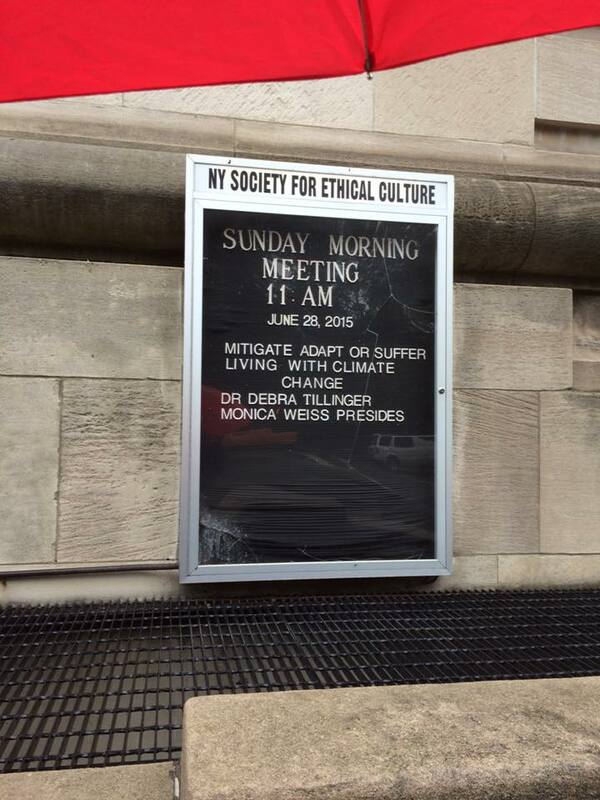 This is my latest offering at the American Museum of Natural History. Any resemblance to the talk given by Dr. Mermaid at the Mermaid Lagoon is purely coincidental. Okay, the topics might be similar, but this will be much more in-depth, and I expect that fewer audience members will be dressed as sea creatures. In a special one-day offering, Dr. Debra Tillinger will lead an in-depth exploration of the science of the Arctic and Antarctic regions, and how changes in these two critical areas of Earth indicate and catalyze the impacts of climate change. Participants will hear from guest speakers on the geology, biology, and cultures of these beautiful and fragile parts of the world. They will also engage in interactive discussions, take Museum hall tours, and enjoy a challenging game of geopolitics, SMARTIC, in which players must enact real-life solutions to the potential large-scale problems anticipated by the impact of climate change in the polar regions. Refreshments will be served. This project was made possible in part by the Institute of Museum and Library Services under grant number MA-10-13-0200-13. 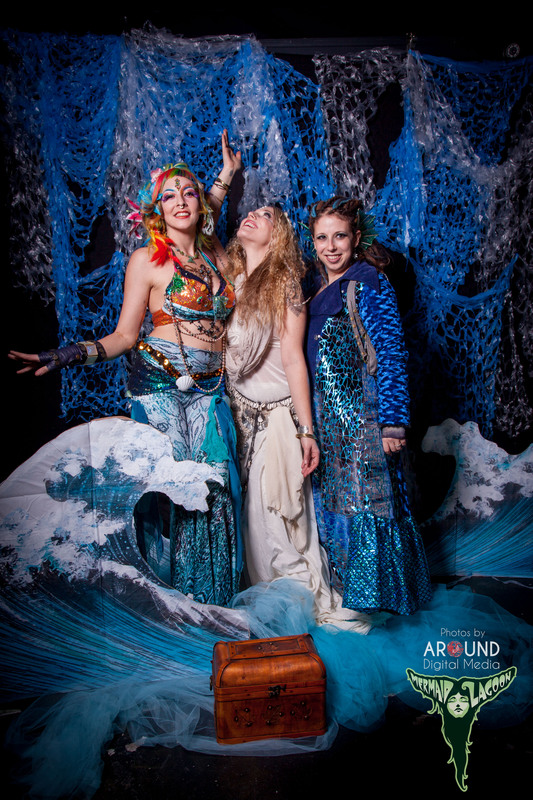 From L to R: Ali Luminescent, Kai Altair, and me (as Dr. Mermaid). What a success! Thanks to everyone who came and made it such a special night. 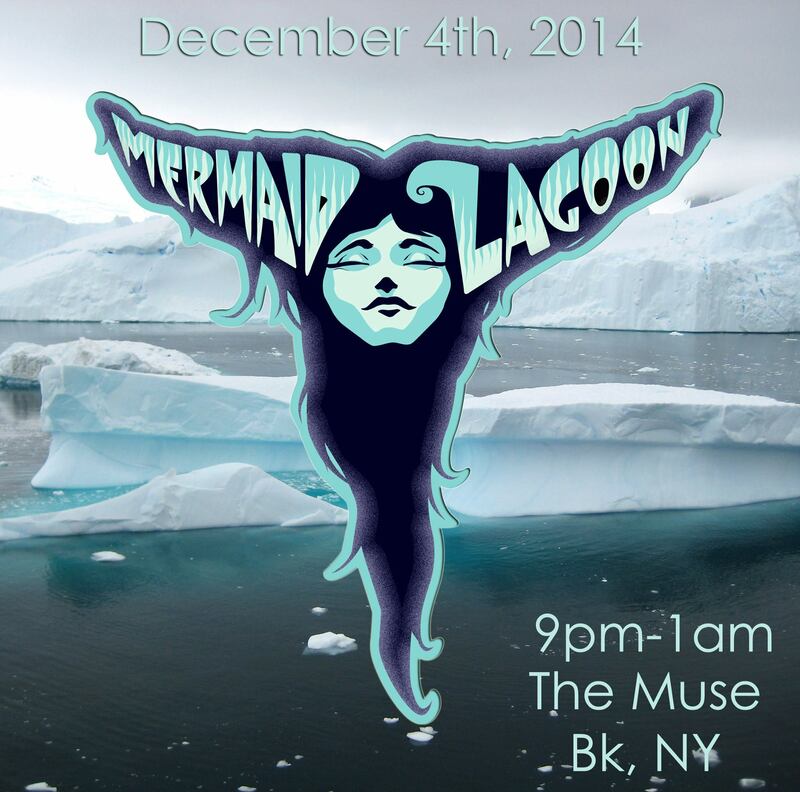 Thursday, December 4th at 9pm, the Mermaid Lagoon will return for it’s fifth annual visit to NYC. Start getting ready. Would you like to science with me? Applications are open! Come science with me on the internet. Our Earth’s Future is an online course, produced by the American Museum of Natural History and led by yours truly. That’s me, tickling your academic fancies and providing photos as raffle prizes. And I love the insistence that Kai and Veronica are sisters – which they are, just not biologically.